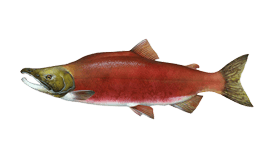 Every Salmon species has a reputation of its own, and for Coho Salmon it’s all about putting up the best fight pound-for-pound! 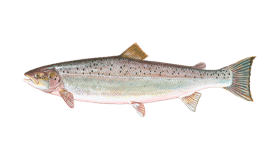 Also called “Silver Salmon,” this summer fish is admired for its acrobatic leaps and immense fighting skills. Light tackle and fly fishing enthusiasts rejoice, there’s a fish out there with your name on it! 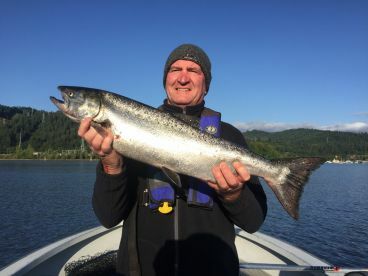 Give Coho Salmon fishing a try and you’ll never look back. 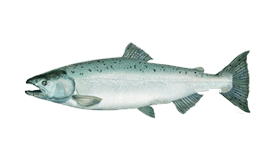 Coho Salmon average 2-6 lbs in size, but can grow up to 10 lbs in fall. 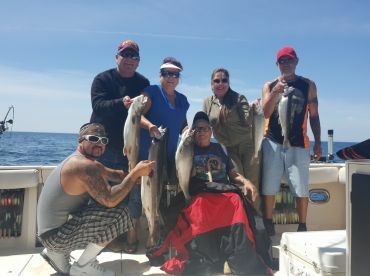 On rare occasions, anglers hook 20+ lb Cohos, with the IGFA world record standing at 33 lbs 4 oz. 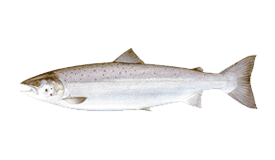 Coho Salmon mainly inhabit the waters from Alaska down to central California. Traditionally, these fish also swam all the way across the Bering Sea to eastern Russia and northern Japan. 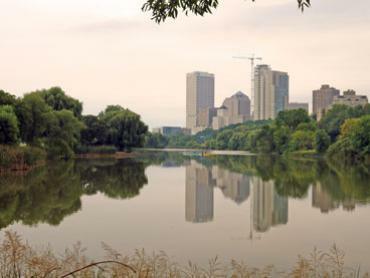 This species has since been introduced to numerous reservoirs in the United States and the Great Lakes. 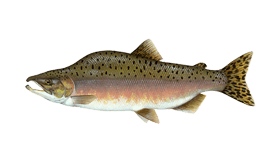 Like most Pacific Salmon species, Cohos are born in freshwater rivers and make their way to the ocean, where they live for several years before returning to the rivers to spawn. 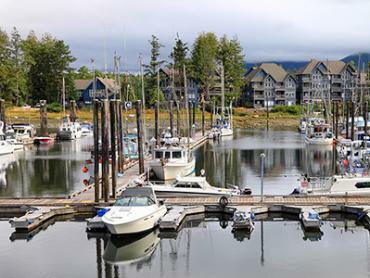 Anglers on the west coast of Canada and the United States target them in rivers, bays, and occasionally offshore. 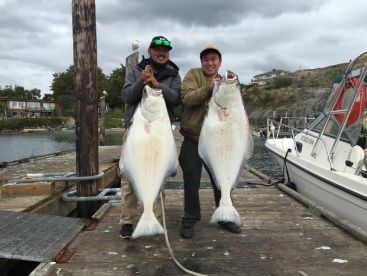 One of the best places to target Silvers is the west coast of Vancouver Island, BC, where you’ll find them in both the bays and rivers. 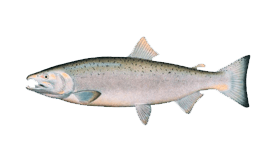 Coho Salmon make their way toward the rivers around June or July, depending on the location. 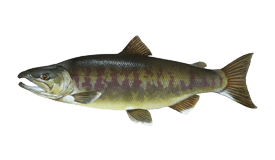 By fall, many Coho are at their biggest and the run typically ends by November. 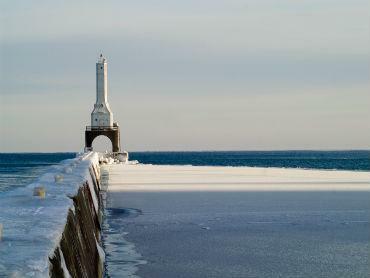 In the Great Lakes, this fish can enter its peak season as early as April and sticks around until July. 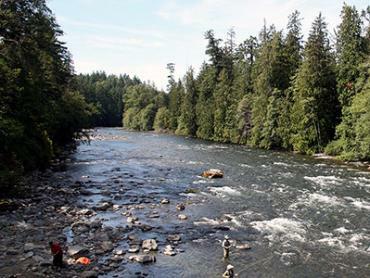 Coho Salmon fishing techniques vary by region and depend on the waters you’re fishing in. 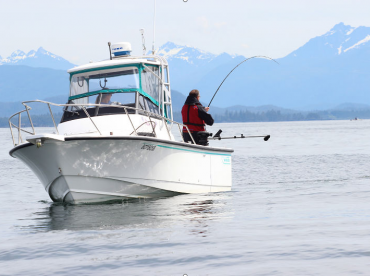 Anglers fishing the bays of British Columbia have a blast targeting Silvers by “bucktailing,” a unique method which involves trolling a bucktail fly. 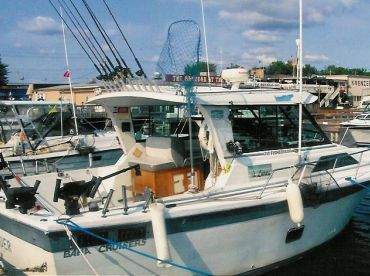 Trolling and mooching are popular techniques in most areas, often with live or cut Herring, Candlefish, and Sardines. Spinning and fly fishing also have their advantages, especially in the upper reaches of rivers. Plugs, spoons, live bait, and streamer flies are all effective. Absolutely! Like all Salmon, this fish tastes great fresh or smoked. 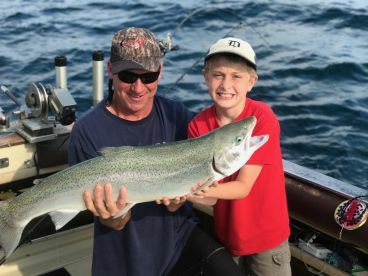 If you manage to catch a Coho on your next fishing trip, you’re in for a treat.